BNIM Architects and landLAB are collaborating on the Qualcomm Pacific Center Campus located in San Diego, California. 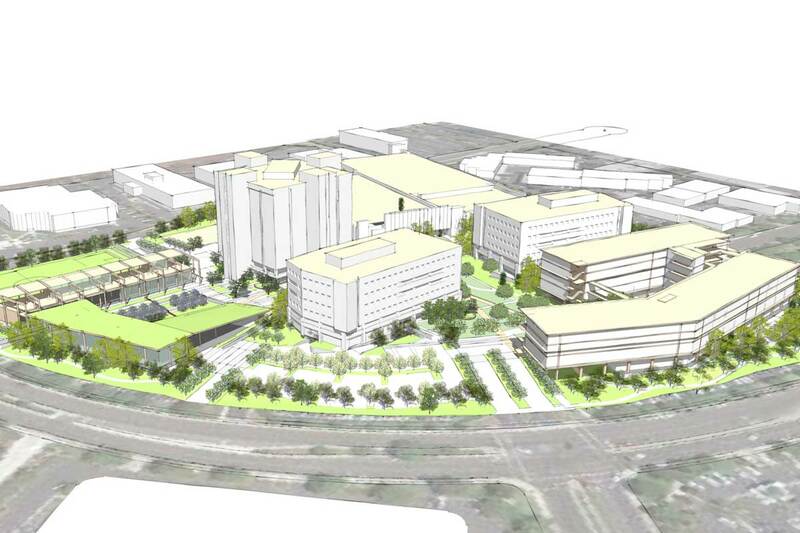 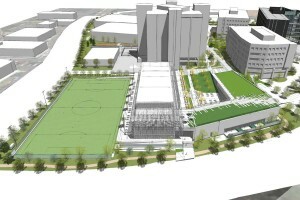 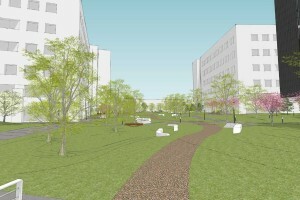 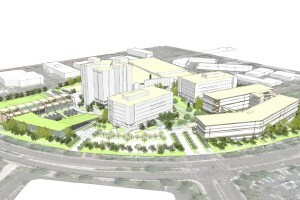 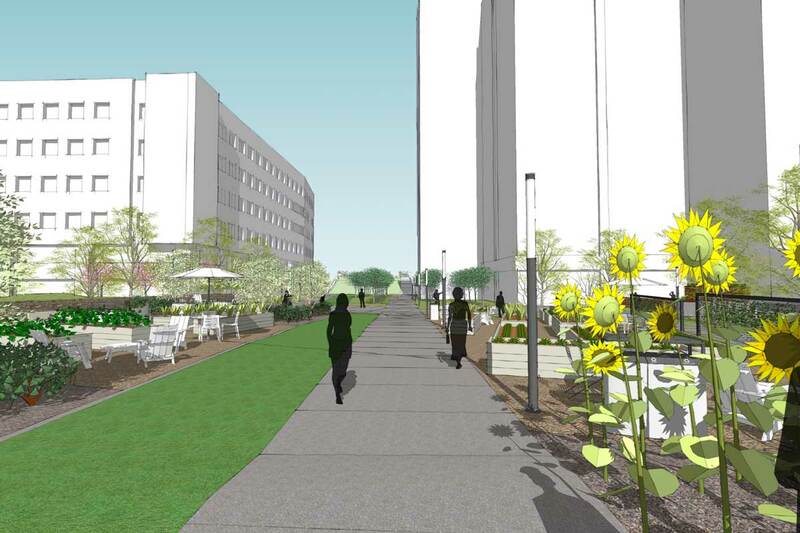 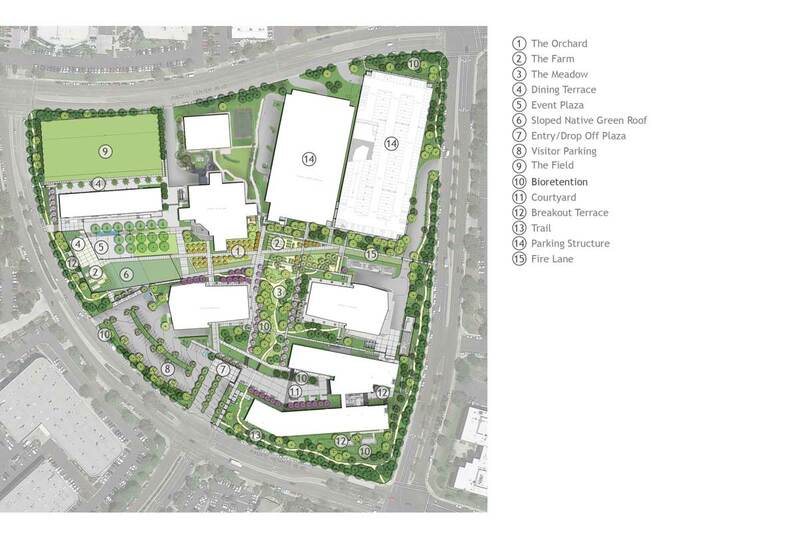 The master plan focuses on the insertion of two new buildings into the existing campus. 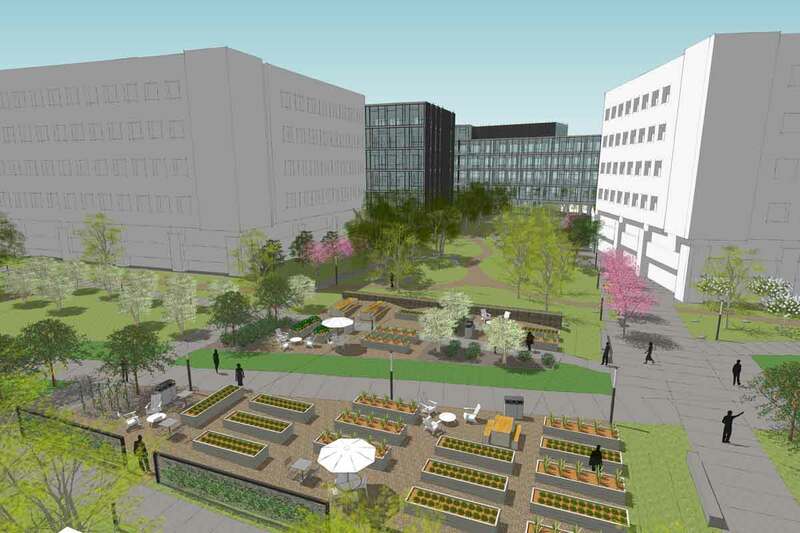 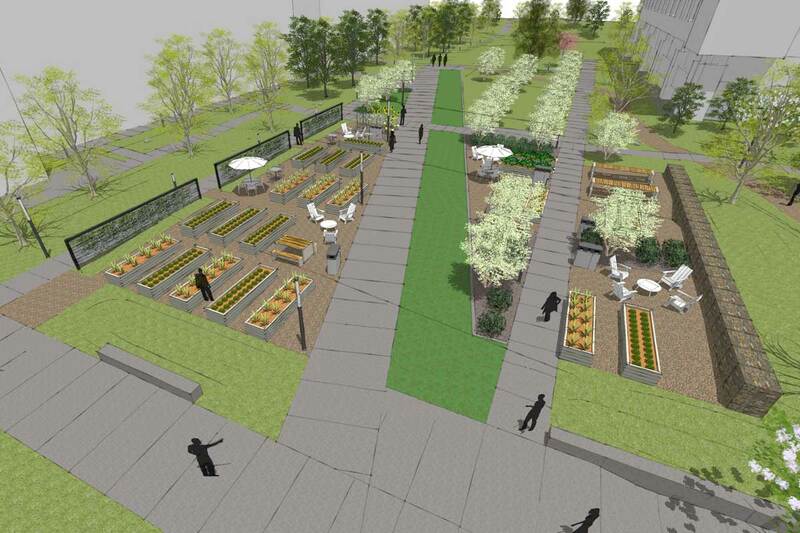 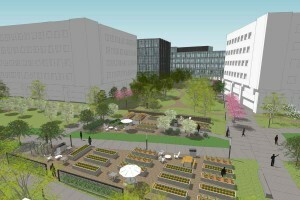 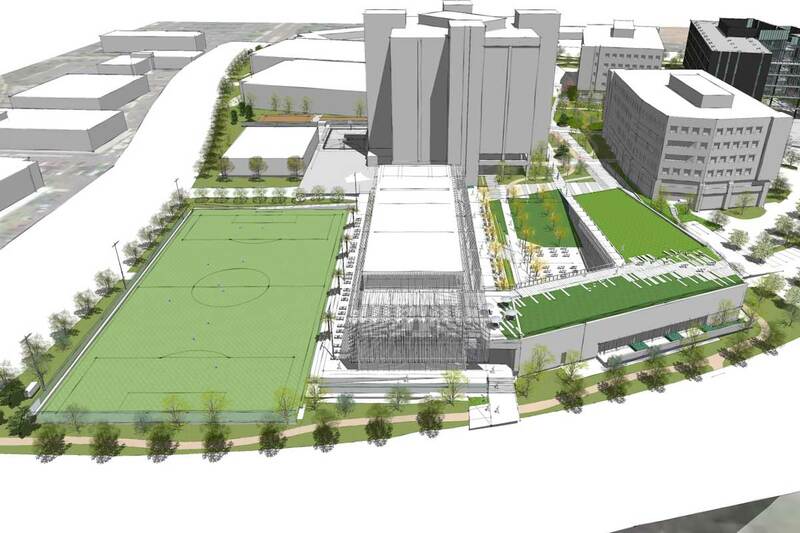 One new office building and a mixed-use conference, dining, wellness and organic garden, inclusive of a regulation sized soccer field, are being integrated into the existing 9.4 acre campus. 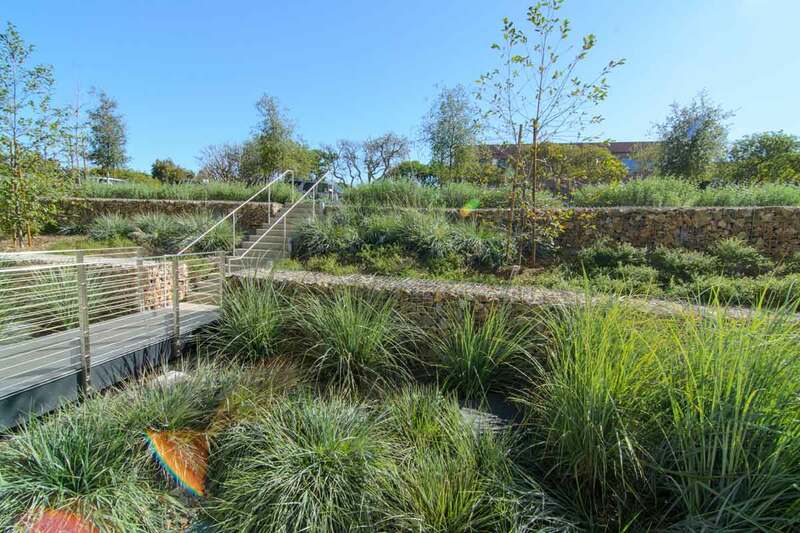 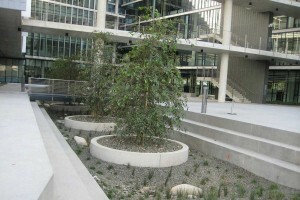 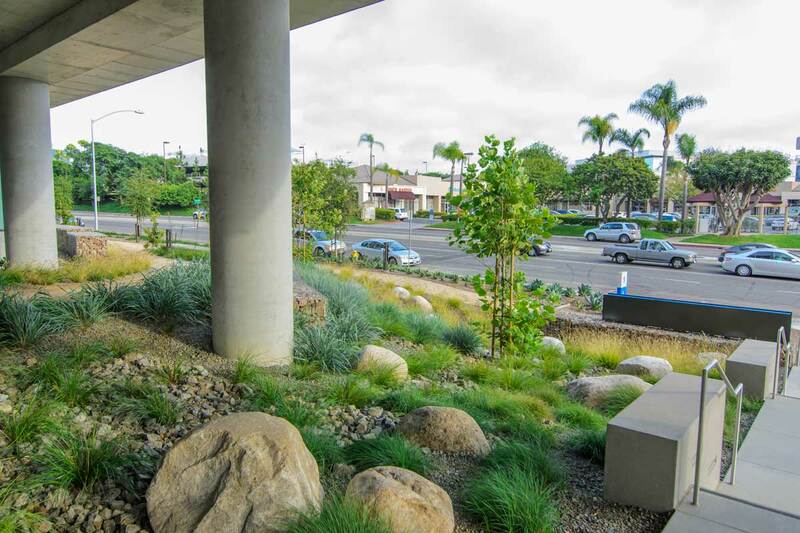 The AY building’s interior courtyard features an architectural bioswale that is fed by storm water from the building’s roof drains. 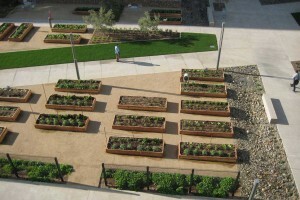 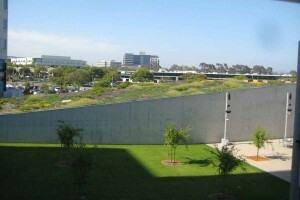 The design also incorporates multiple breakout spaces encompassed by native San Diego landscape. 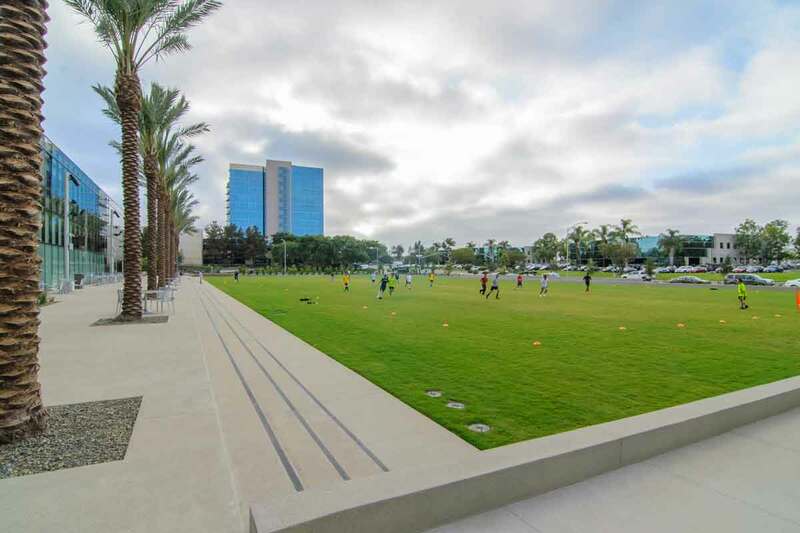 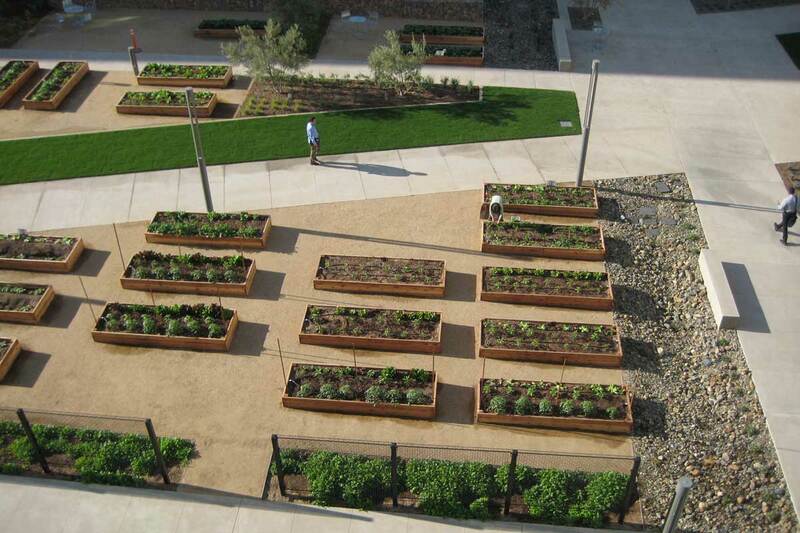 Building AZ utilizes green roof technology to create additional usable space for fitness, dining, and other programmed events. 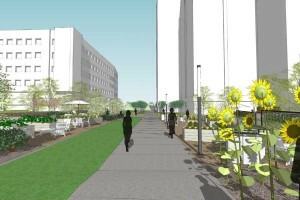 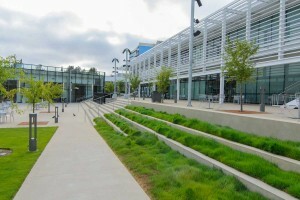 The campus design will also integrate a meandering trail system that connects the site with the adjacent naturalized open space in Lopez Canyon. 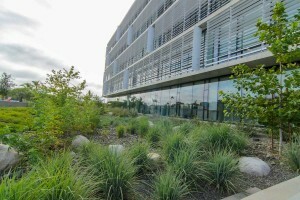 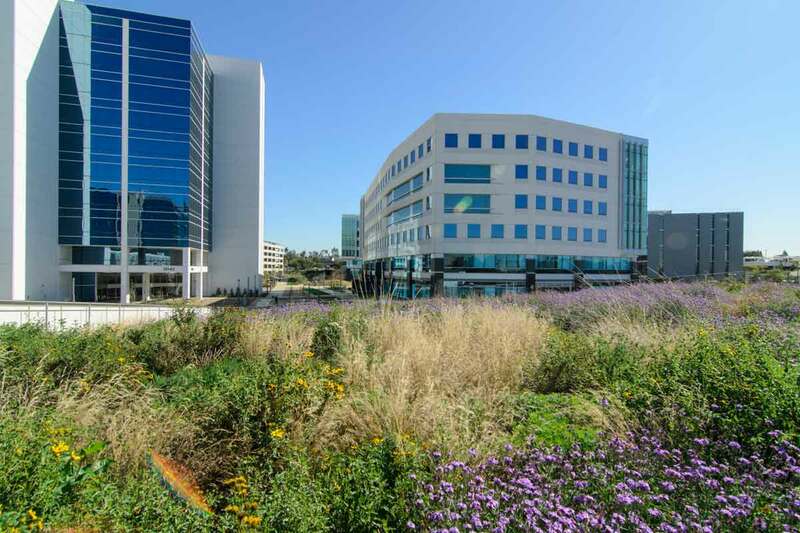 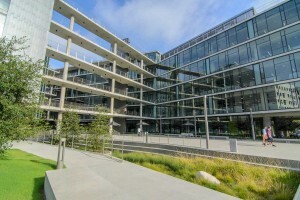 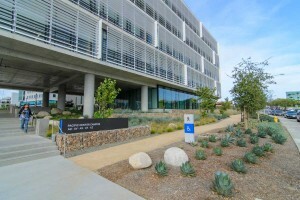 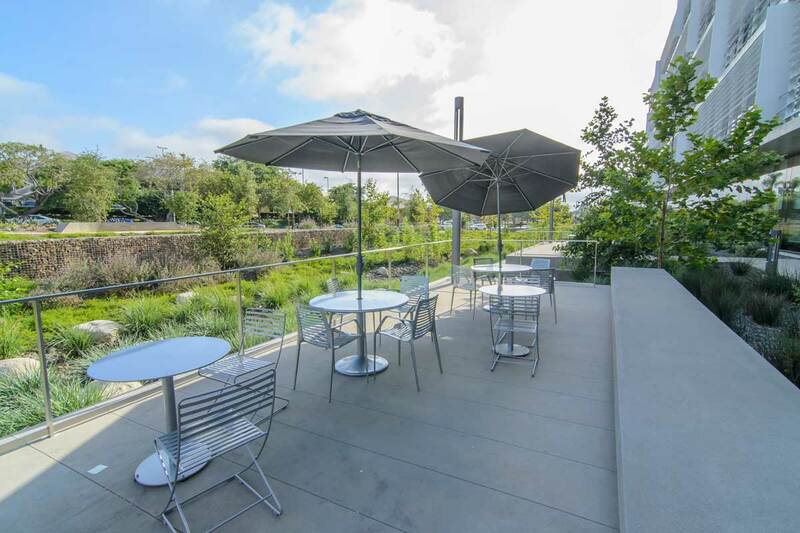 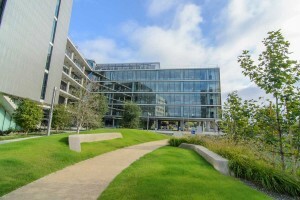 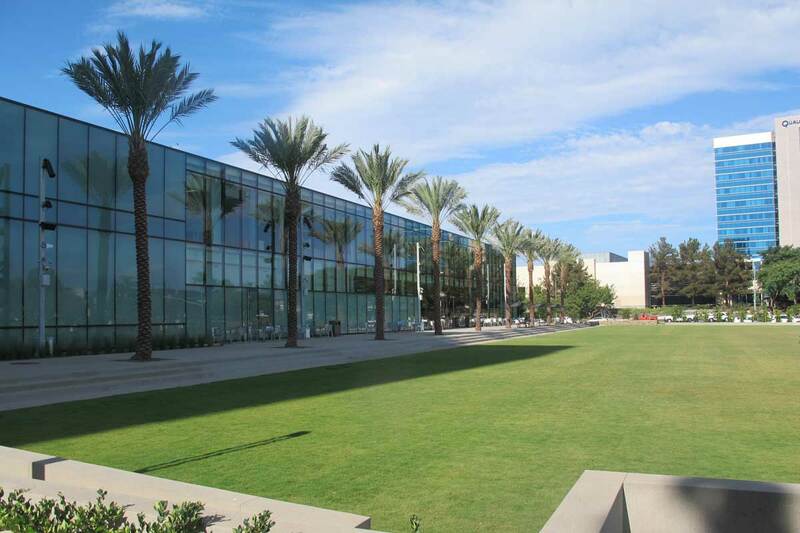 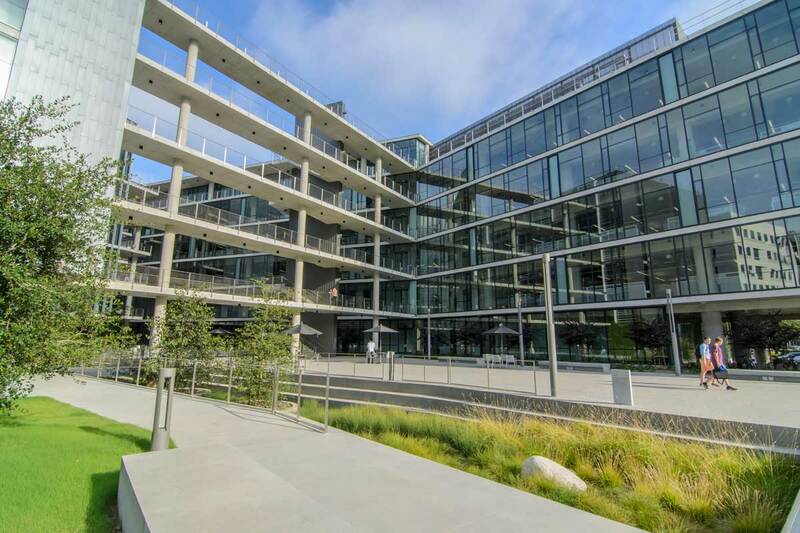 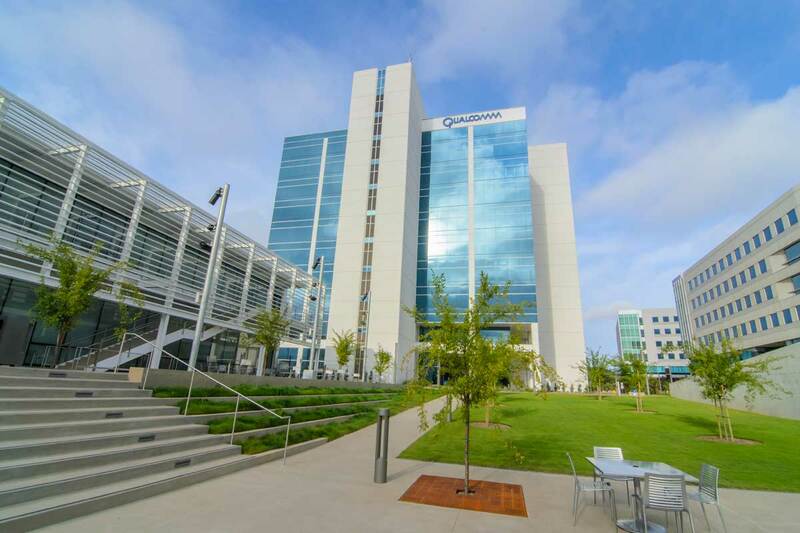 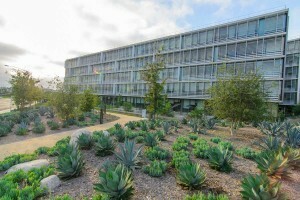 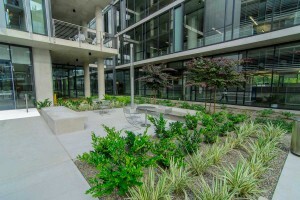 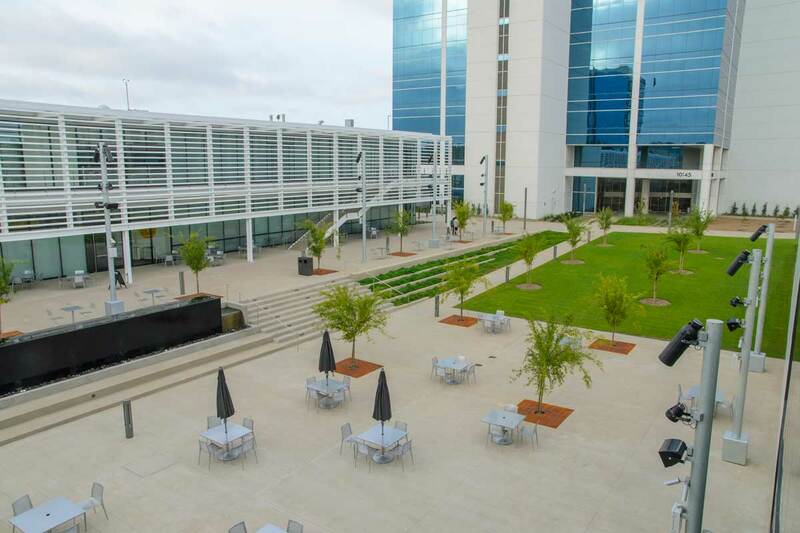 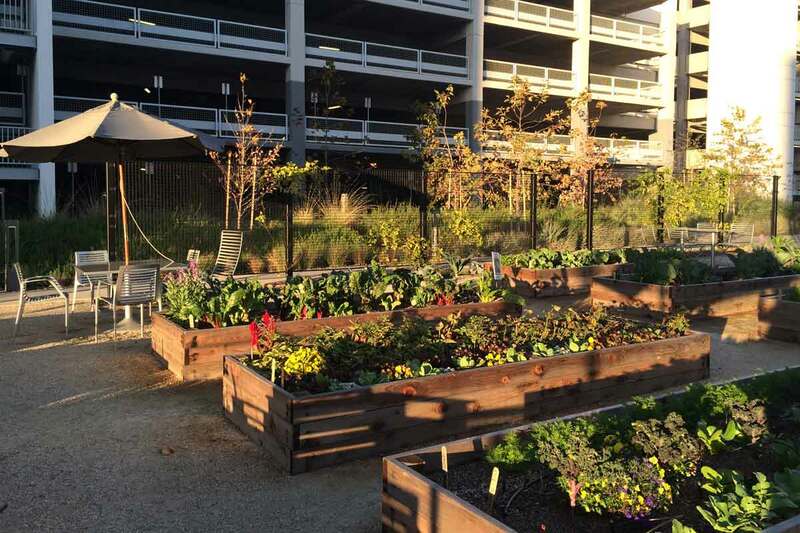 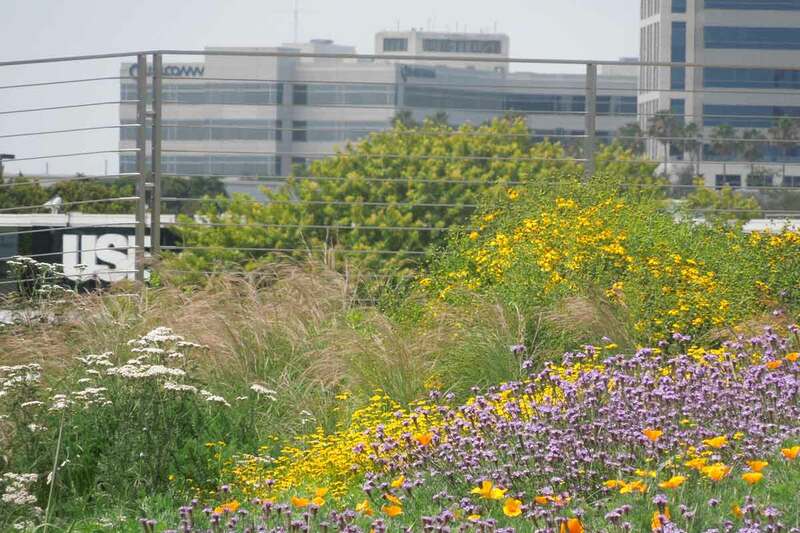 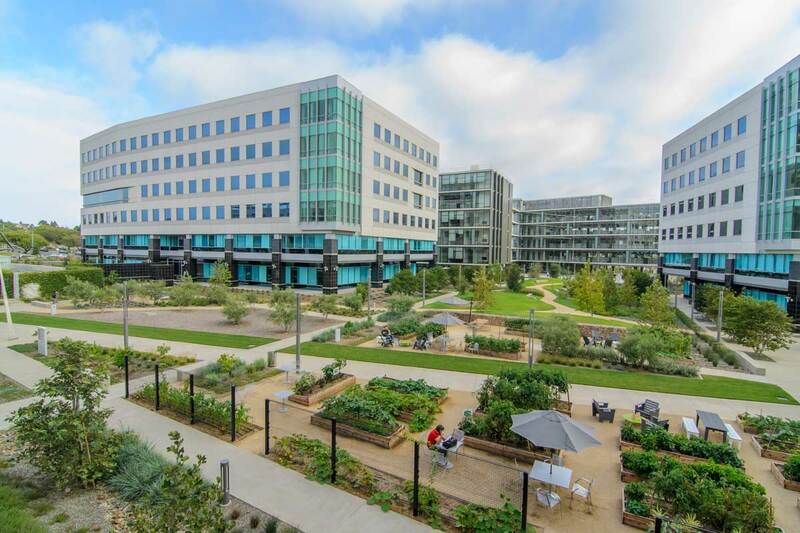 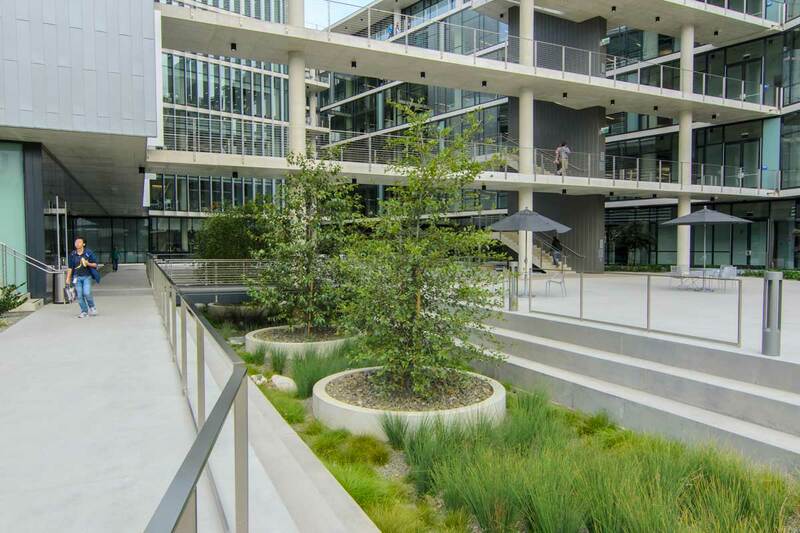 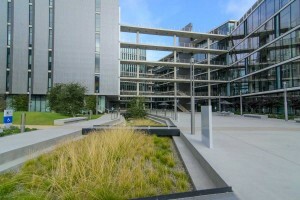 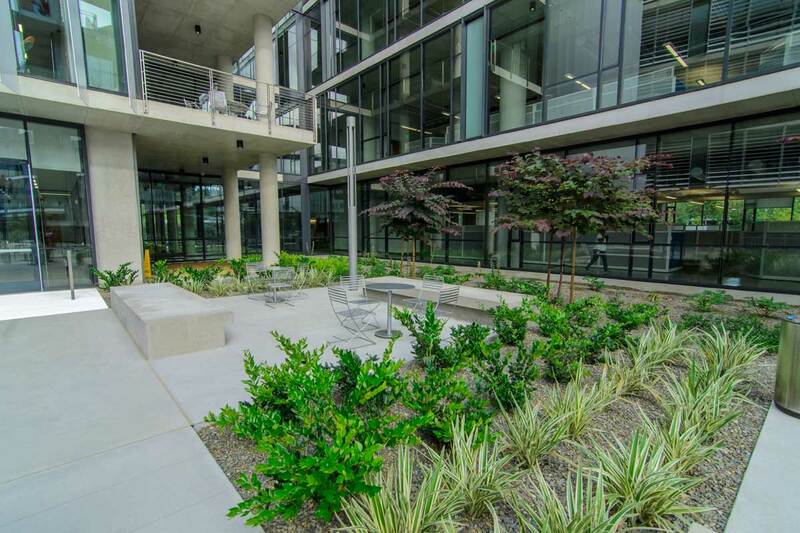 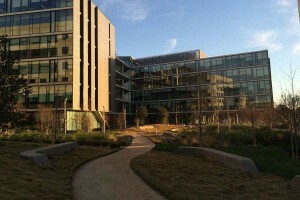 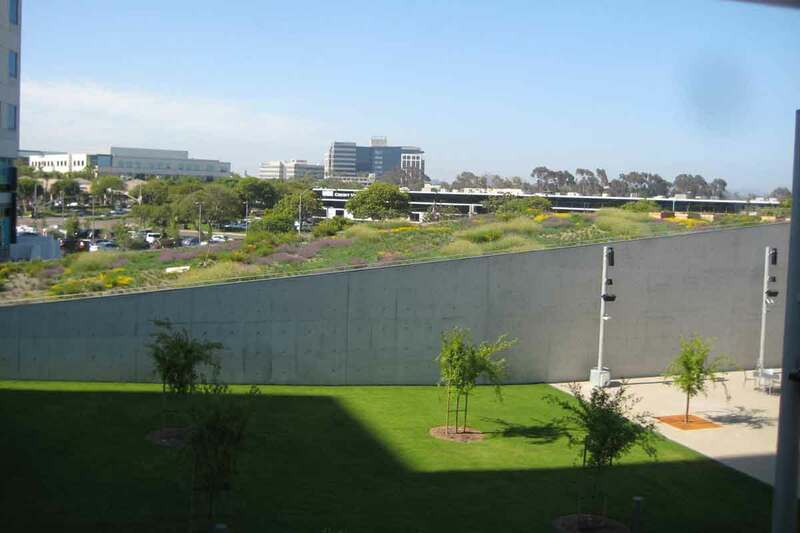 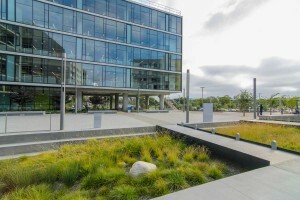 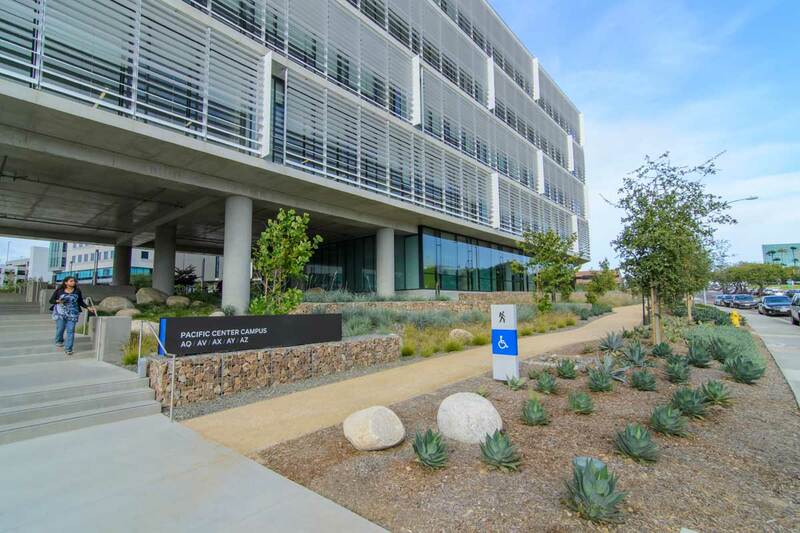 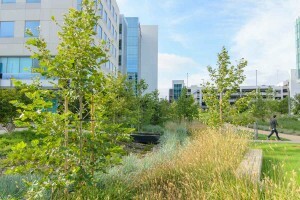 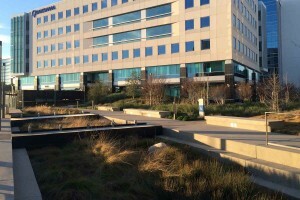 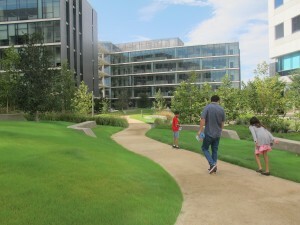 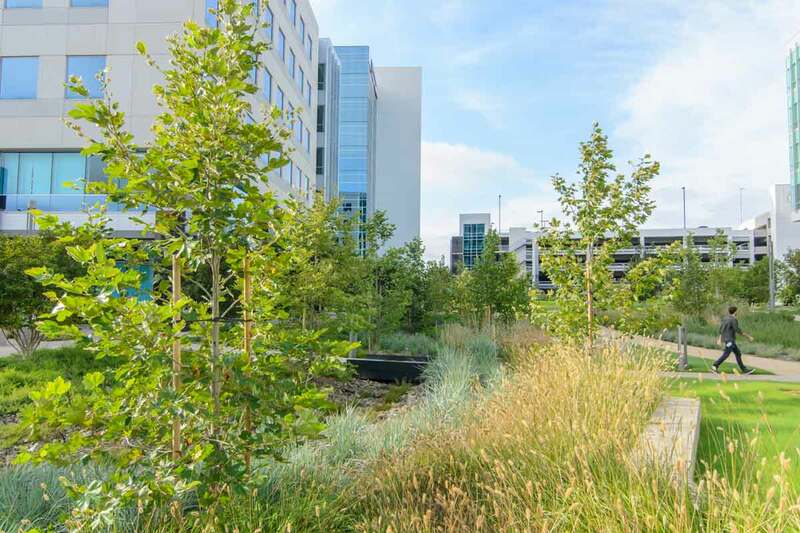 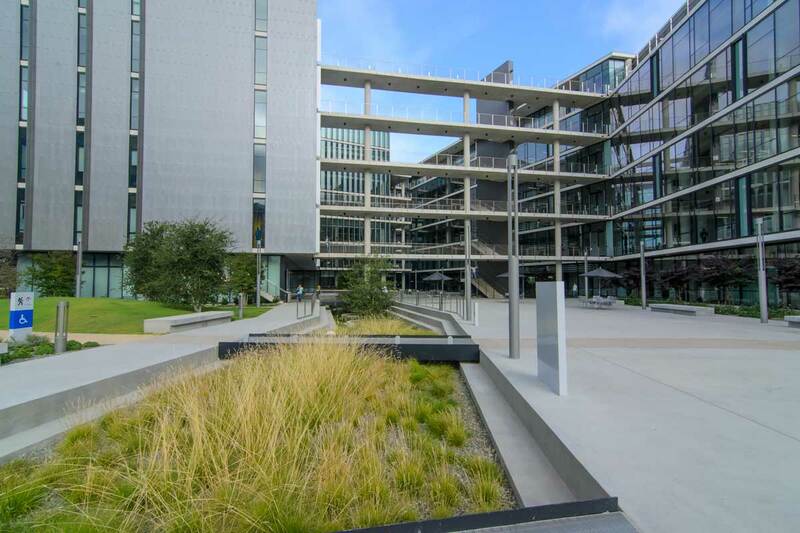 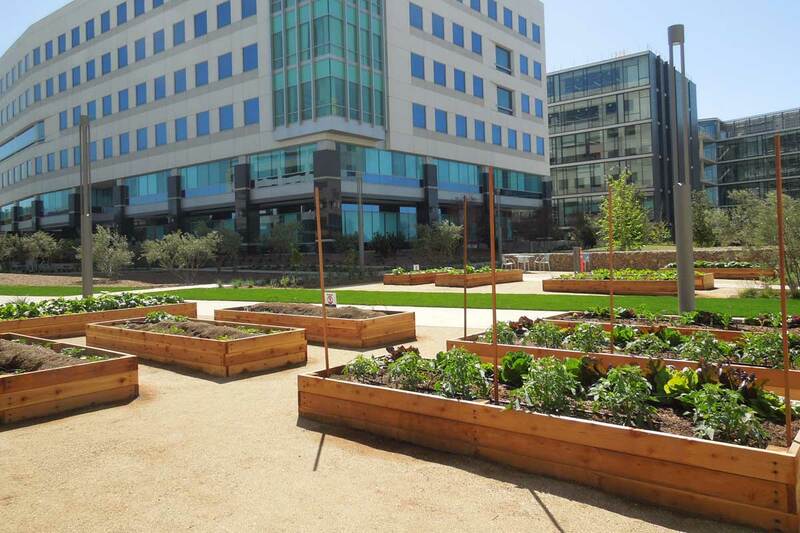 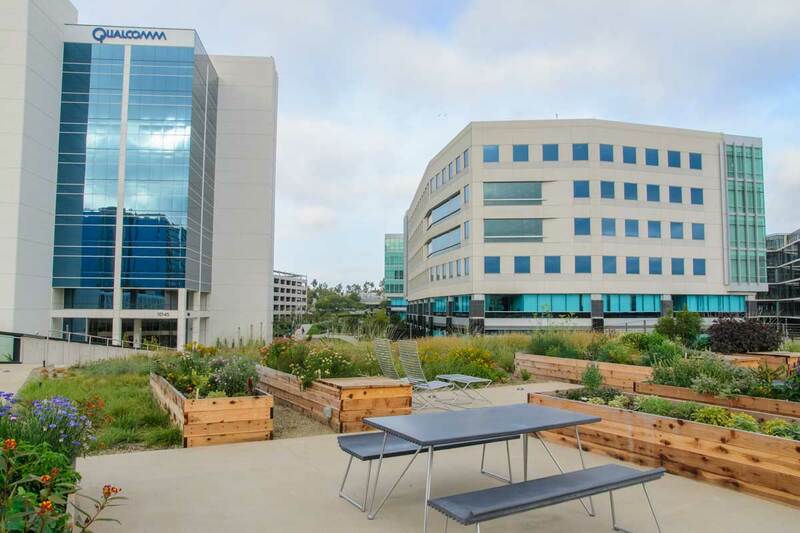 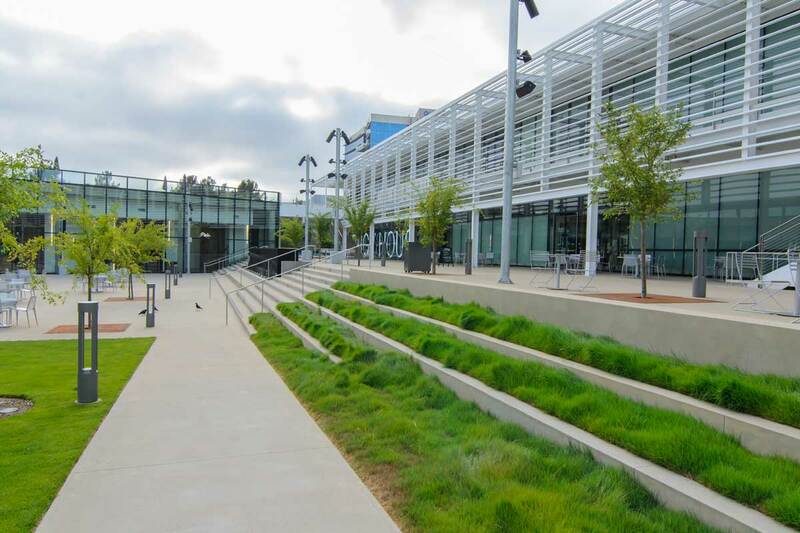 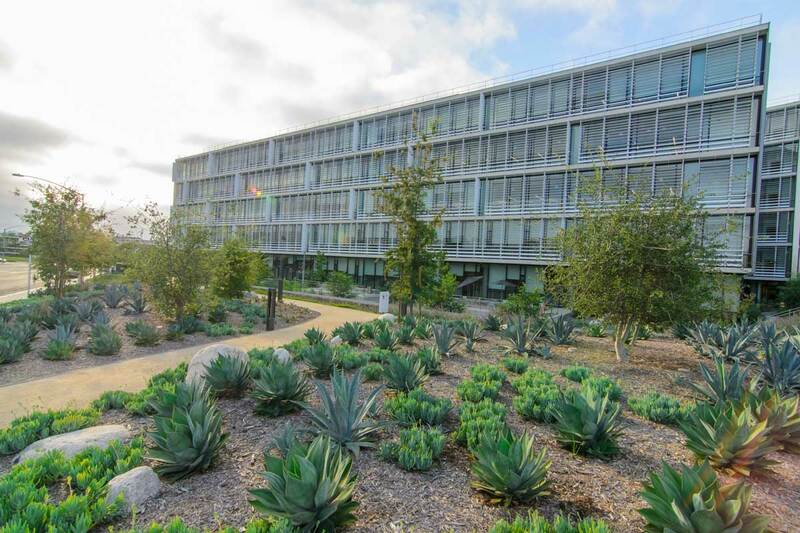 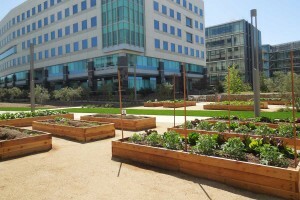 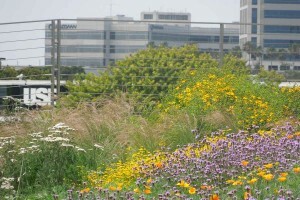 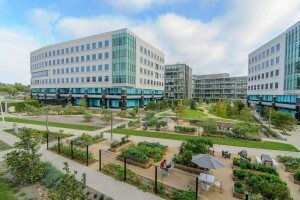 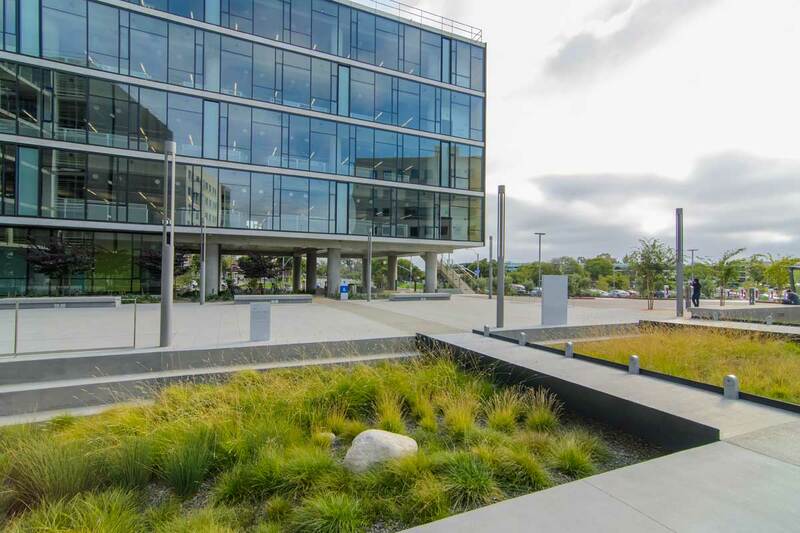 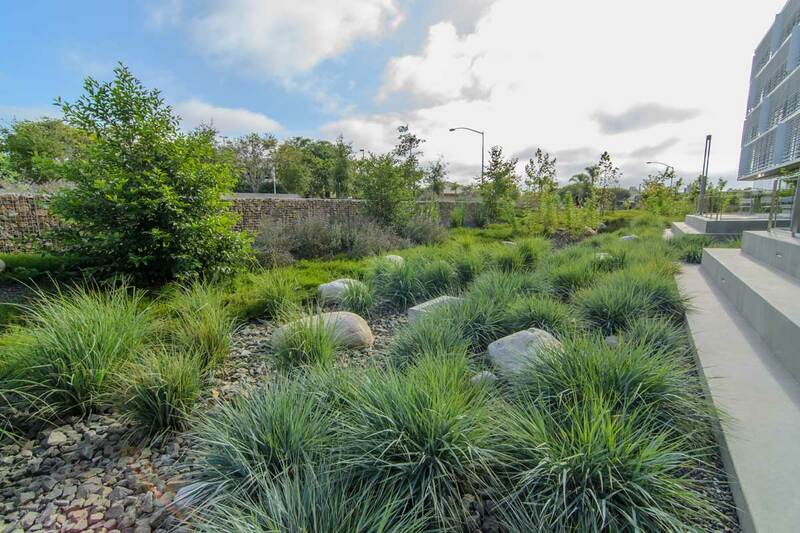 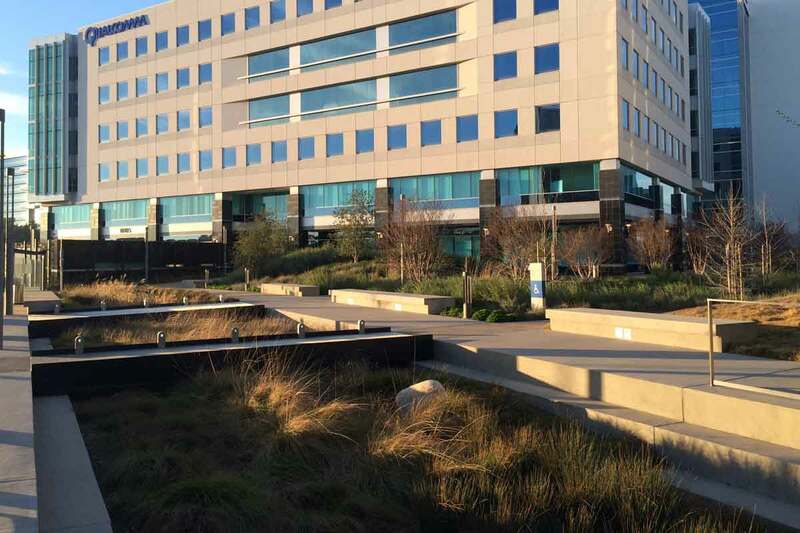 Qualcomm Pacific Center Campus is anticipating a LEED Gold rating from the USGBC.